“My son has been going about 3 years and he loves it! Before going he was very shy and had trouble joining in with other kids. Now he has no problem and loves his karate classes. It’s been so good for him. Here at Cannon Karate in Corning New York we are committed to helping you develop the life skills that you and your family are looking for. 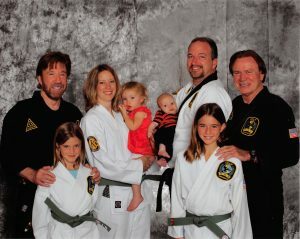 We teach the style of martial arts founded by Chuck Norris in a fun, friendly, family atmosphere. Cannon Karate is the only school in the Corning New York area actively producing black belts in The Chuck Norris System, the style of martial arts founded by Chuck Norris. Our system is driven by Mr. Norris’ commitment to excellence and the four principals it is based on…Discipline, Integrity, Loyalty and Respect. Cannon Karate is proud to be held to this higher standard of martial arts training. Being a part of The Chuck Norris System gives us access to a network that is worldwide! We are connected with hundreds of instructors to assist us in the best possible ways of teaching martial arts and a wide variety of school owners to help us deliver the service that you deserve. Cannon Karate is dedicated to helping our students develop the skills that they are looking for in a friendly, family atmosphere. With classes starting at the age of three, there is something for the whole family, kids, teens, parents and grandparents. If you are looking for an awesome style of martial arts and instructors that care about you and your family, then Cannon Karate is the right school for you. 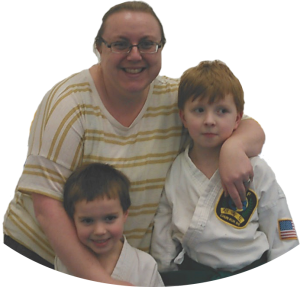 Mr. Cannon’s wife, children and mother are all students showing how Cannon Karate truly is…Karate for the whole Family. Great place to train. Kids class is a blast!! Adult class keeps our interest, keeps us in shape, and keeps us learning. All done while having fun with great people. Mr. Cannon is a great instructor and we couldn’t ask for a better group of students! !